“Linkbait” is a value-driven content that attracts links organically and through manual outreach methods. In other posts like in Kaiserthesage, linkbait is almost synonymous to the term, “link magnet“, which refers to a website that has created a credible reputation by building highly-exceptional content and strong relationships with industry publishers who became sources of organic links. The only difference between linkbait and link magnet is that linkbait refers to the page that attract links, while link magnet is about the website in general that earns links. Both of which are essential to understand, as one is depending on the other. 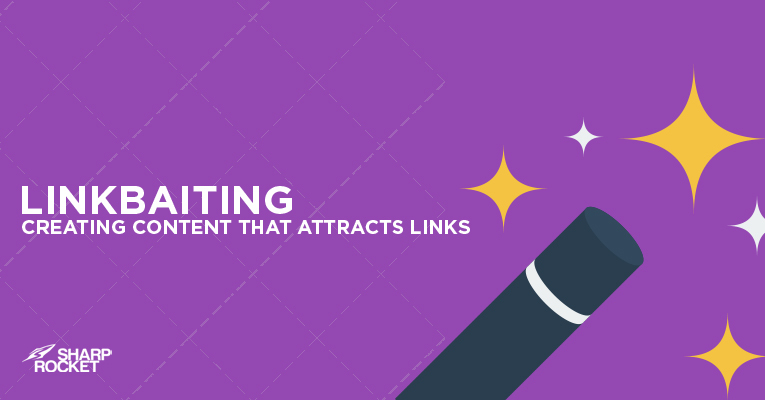 What REALLY makes a good linkbait? What does a GOOD linkbait produce? How to measure? Apparently, the approach to linkbaiting is by starting with one page first. If you can develop a highly-valuable content once, it is possible to get it done multiple time. However, take note that not because you’ve done it one time, you could produce the same or better results for your next content pieces. When people say content is king and just produce great content, they really mean produce great content consistently. Consistency is the key. If you are able to produce one linkbait and do it consistently on topics related to your brand, it is possible to create an authority website that attracts authority links. Never assume you’ll get your overall website attractive if you’re only aiming for one big shot. If you have gone through several articles on linkbaiting, you know what these bloggers say are almost true. In fact, these are characteristics of a good linkbait. Let me give you some of what I’ve got. Your content offers utility to its target audience. Your content invokes some kind of emotions that are enough for people to share it. Your content is visually-appealing (should be on top of the list for every content creator). Your content may have newsworthy elements (if it’s timely, it gets viral quickly). If you take a deep look, above elements plus other worthy things that are not listed here can be summed up into four things: value, context, timeliness, and relationships. By knowing how each of these elements work and applying them to your own content piece, you’ll be able to transform your page into a good linkbait. The value of your content differs from one visitor to another visitor who sees it. Some people may see the value of a content by how fast people could consume it; for others, it means how comprehensive and timely text in content to its user. In understanding value and usability, it’s critically important to align your purpose (the reason why you’ve created the content in the first place) while doing the piece at hand. For example, if you have published a content that lists down the “best X tools in INDUSTRY”. 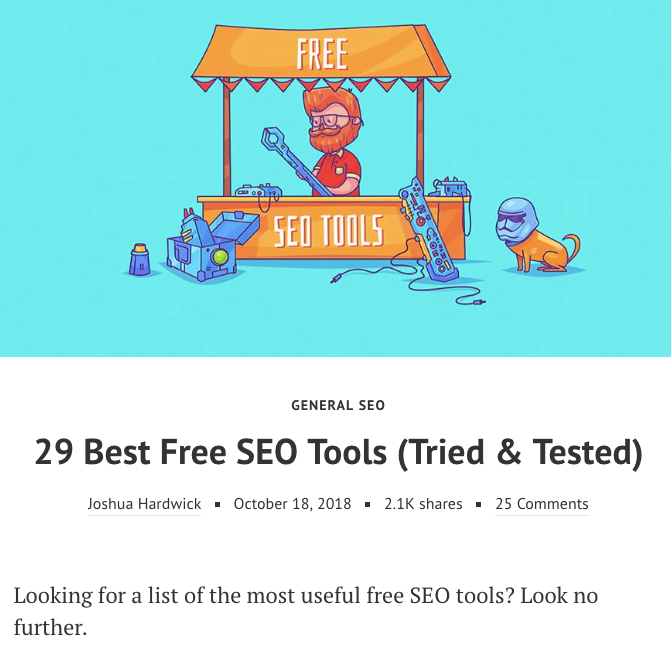 The number of items in the list may not necessarily bring the value: who wants 200 tools, if people are only looking for what’s best that they could use immediately to their business?”. The form of this type of content may be shorter than the usual (12, 10 or 6) among hundreds or thousands of tools. But the best part that will add significant value is what makes these industry tools best. What differentiates these tools from the others? Their pros as well as cons that are likely to be complemented by other one of the tools. How could I make the content piece easy to digest (read, listen, watch, scroll, etc..)? How could I format a page that will give the best user experience as possible? Are there any information that I need to strip out to make the content succinct as possible? Are there any content elements, i.e. video, graphic, gif, that will emphasize human emotions and/or make the content more comprehensive than other similar assets? Context is vital. Who are the specific audience your audience caters to? What are their needs and how you can fulfill them? What to address and what not? What to offer and not to offer? These all things require critical thinking – understanding the right timing and context. Inclusive of that is having a game plan to differentiate your content asset from other pieces of your competitors. You can be the FIRST or be the BEST. When you’ve done a good research, it doesn’t take you longer to see if you’re the first one to cover the topic, or even realistically, the first one to cover a unique angle of the topic. 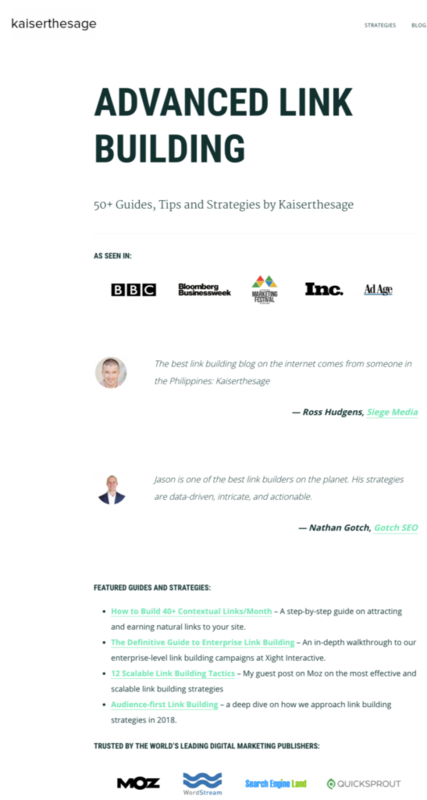 Kaiserthesage has done extremely well providing the first of the guides about link building. Because of this, it doesn’t take him a decade to build authority and trust in the search marketing space. Meanwhile, you may not be the first to address a specific topic with your content. However, you can create the best of it -the most excellent in terms of form, style, user experience, delivery, and other content elements that will allow you to provide the best possible solution to a serious need of your audience. You can add unexpected hooks that your audience would find uniquely valuable. So it’s critically important to go through similar content assets and see what they are missing out, which you can fill them in your content in order to make it a better web asset than theirs. You will appreciate more of timeliness as we go through the promotional part of linkbait. But the good thing with first understanding how valuable its role in the linkbait creation process is that it allows you to set expectations in its actual doing and delivery. If the content will be consumed by the audience at a certain day or week (holidays, annual celebrations, etc..), it would be wise to set an advanced preparation of the content as early as possible. If the content is seasonal, make sure the content is published days or weeks before its promotion. There are chances when you have to revamp or change the formatting so to make it fully resonate with its intended visitors. Why is there a need to look into relationships and see a list of interested people when the content is still going through in its creation process? The answer is very simple–to validate if there is an existing audience ready to consume and amplify the content once it is published. Identify existing linkers in your industry by checking who have linked to your competitor’s similar content. This activity is attainable when you use Ahrefs and Similar Prospecting Tool by SkyRocket. You may add to your list all past linkers to your content. If you offer a relatively topical content, they would find it again interesting to cite in their own works. All bloggers discuss about the value in content marketing, but, if you think deeply, value is very subjective. A content piece that’s valuable for me may not be valuable for you. Each visitor has his own criteria to identifying how valuable a page is. The first important point of understanding the value of a content is through the lens of its audience. Content length, depth, word count, number of images, and other elements within the content are all important, but these don’t say much until the market sees the finished product. A good indicator and somehow predictor of future success of a linkbait (not a guarantee, but a good place to start with) is the backlink history of successful linkbaits in your industry. You may not be able to know entirely how people perceive these pieces, but if you go through some quantifiable values, you can measure your content piece’s linkbaitiness. These values include the current quantity of linking pages (how many referring domains are linking to the page), speed (how fast does this page earns or get these links), growth (how much links are earned this month compared to its previous period) and traffic value (estimated ROI value of each link). Let’s first look at the value by linking pages. The number of referring domains linking to a content piece can show a lot of things. First, if the audience targeted by the content is a linkable audience – meaning these are audiences who have the behavior of citing, referencing, and linking to highly valued content from their works. These are people who are not just consumers but actual contributors through their linking behaviors. If the audience is linkable and your other similar content assets (from content competitors) have gained hundreds of links, it says two things: either you’ve got some work to do and improve in your content or you haven’t prospect enough link opportunities. Grab your content’s URL and enter that in Ahrefs’ Site Explorer. You can also benchmark your linking pages success with your content competitors. Check the percentage you’ve achieved over their current number of links (e.g. your 10 acquired unique links over their 250 unique referring domains). Aside from the number of linking pages you’ve gathered over your linkbait promotion, it is best to also know the progress of your link acquisition campaign by looking at both link speed and link growth. Link speed, in essence, is how fast you’re building links over a period of time. Let’s say, you have built 6 links last month, and in the course of next two months, you have built 10 and 15 respectively, your link speed rate increased by two and almost threefold. Meanwhile, link growth is the increase (or decrease) as well as projection of links built over time. Using the recent example, if you have built, 6, 10, and 15 over the course of three months, you may expect multiple numbers over the next time period (another three months). Prospects reached out to in previous months may have just been converted in the current (or hopefully the next time period). Sudden exposure on a top authoritative publication or news site may give a burst of incoming links for one month, but doesn’t sustain its link numbers in the next months. Putting more link builders into your team for the promotion of a content piece may increase speed of links built over time. There are more elements that may come into play. By checking your content’s link growth and link speed, you’ll be able to track your progress. Ross Hudgens recently published an interesting article on link value by industry, which gives rise to this important section of the guide. If you are pursuing for links, you are also looking at money value derived from the link building campaign. One way to measure link value by price is to look at the traffic value of page. Apparently, it includes on-page factors and other ranking signals that formulates that number, but you may consider traffic value over number of links to get the industry price value per link. If you’re an agency, it’s one way to get more buy-in for your client’s campaign or additional budget to allocate to link building, as they are now able to see how valuable your linkbait is in terms of its ROI to the overall brand. Other than links, there’s one by-product a linkbait can provide to your brand,that is, additional relationships. As you go to massive promotion of your linkbait and as it earns links, you would be surprised at how many connections you can build on the process. Not only first-hand relationships (connections from the first burst of promotion), but also second-tier and even third-tier relationships. These are relationships created through the first form of relationships. When someone is a brand follower or enthusiast, it’s not impossible to refer your content to friends of friends (inner circles) and business networks they would find your content to be useful for. As your linkbait continues to earn its authority, you’ll then start to receive emails for inputs or advice from relevant industry publishers and even emails from potential linkers who have actually linked to your content (and sharing it to you for a favored promotion). The massive success of linkbait won’t start until there’s an early burst of exposure. Rarely you’ll see a linkbait that has gained hundreds of links without any form of promotion. Apparently, there are a lot of ways to start promoting your linkbait, after you’ve assessed its quality and have full confidence towards your content. Let’s start with people who know about your brand. It’s more reasonable to start reaching out to people and brands who are already interacting with your content. Start with your followers on social networks, email subscribers and your personal connections. 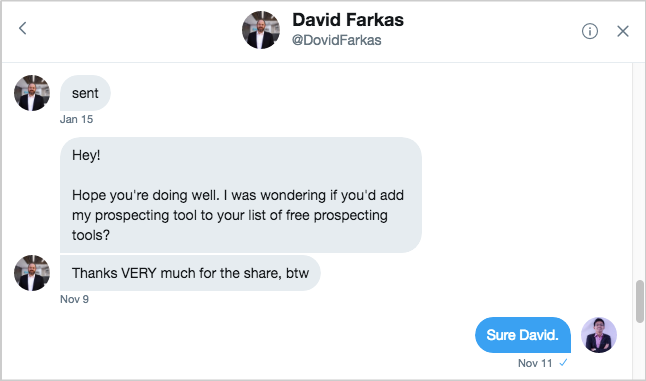 Here’s a good example from David Farkas of UpperRanks. The next best set of people to receive early promotion of your linkbait content are those who care and consume the subject matter of your piece. Begin by looking at existing linkers and sharers of content assets similar to yours. If you’re unsure of your competitors’ content, you can use Ahrefs’ Content Explorer to find them quickly. Find list pages of topical resources where your linkbait can be best fit. 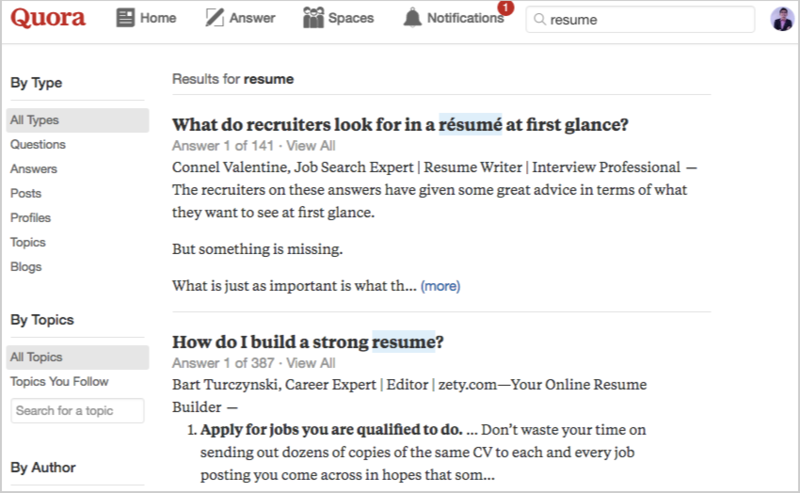 You may use a variety of search terms (like inurl:links.html “TOPIC” or site:.edu ~resources “TOPIC”) to look for links pages. Tip: Check out this cheatsheet guide for more link-based prospecting search queries. Go over each resource page and check if they have broken pages, that you can take advantage of when reaching out to them. You can ask them to replace these broken resources with a link to a relevant linkbait of yours. Joining in fora and online community discussions are still a valuable activity in the linkbait promotion process. People are looking for answers and useful references that they can take away and use for their business and personal life. When you engage truthfully with the intent of sharing your linkbait as a good reference and other useful resources, you become more valuable participant in the discussion. The rewards of views and referral traffic will become a by-product of an authentic engagement to help. Consider spending time to evaluate the value of your content. The receptivity of your people who’ve encountered your content in the first place may show its value in the online market. In this way, you will determine if your content is targeting the right audience or not. Even so, you can look for any possible solutions to revamp your content with little changes on the format, style, and information of your page. If your content is evergreen (it passes the test of time), you can go back to your linkbait and update it accordingly. This will not just maintain and improve your content’s search rankings, but be able to promote it again. Execute another outreach campaign after a year, and soak for any new link opportunities. One way to start is to collect a new list of possible linkers from a Google search. One pro tip that I highly recommended is to check your competitors’ content new links. Over a period of time, they managed to get some links from new different websites. You can leverage their success to your own advantage, and make it worthwhile to you to discover new backlink targets. With proper strategy and execution, you can publish a series of linkbait pieces that can perform well in the market. Of course, some pages won’t get the desired traction, but over time, through testing and innovation, you may get some rewards from multiple successful linkbait campaigns. Getting multiple links from a topical resource page (as one linker whom you haven’t reached out yet may find two of pages valuable to link to from his list page). Your content hub can target a head industry term and has chances of gaining the top spot in search results because of its existing solid links which can pass authority to the content hub itself. There may be instant food, but no instant success. Same is true with producing linkbait. You may gain traction at once, but if it’s not sustained for a long time by producing solid linkbait content consistently, results will never last.